Explanation: Thousands of years after a star exploded, its expanding remnant still glows brightly across the spectrum. 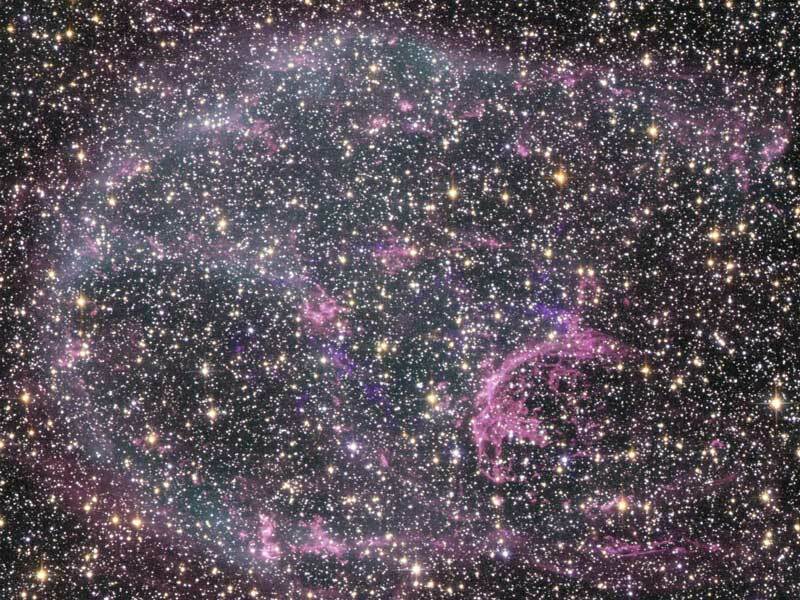 Such is the case with N132D, a supernova remnant located in the neighboring Large Magellanic Cloud (LMC) galaxy. The expanding shell from this explosion now spans 80 light-years and has swept up about 600 Suns worth of mass. N132D was imaged recently in optical light and in great detail with the Hubble Space Telescope. The Hubble image was then combined with a position coincident detailed image in X-ray light taken by the Chandra X-ray Observatory. 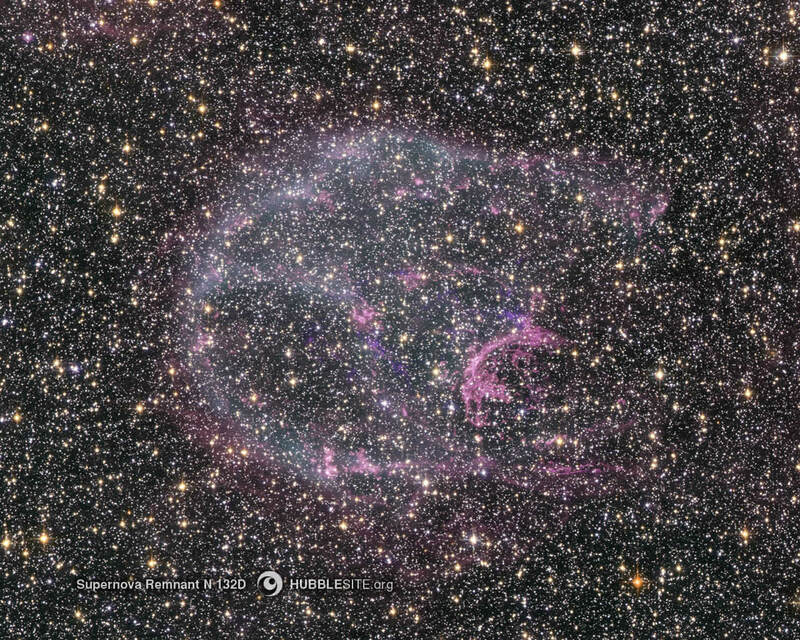 The combination, shown above in representative colors, shows a nearly spherical expanding shockwave highlighted by pink emission from hydrogen gas and purple emission from oxygen gas. A dense field of unrelated stars also from the LMC populates the image. Studying the image gives an opportunity to study material once hidden deep inside a star. N132D spans about 150 light years and lies about 160,000 light years away toward the constellation of Dorado.